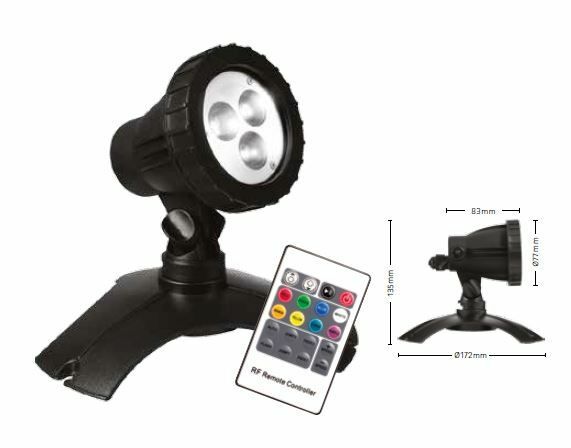 The Hydra RGB LED is a high illumination remote control light with low power consumption; using 4.2 Watts for 50 Watts worth of equivalent illumination. 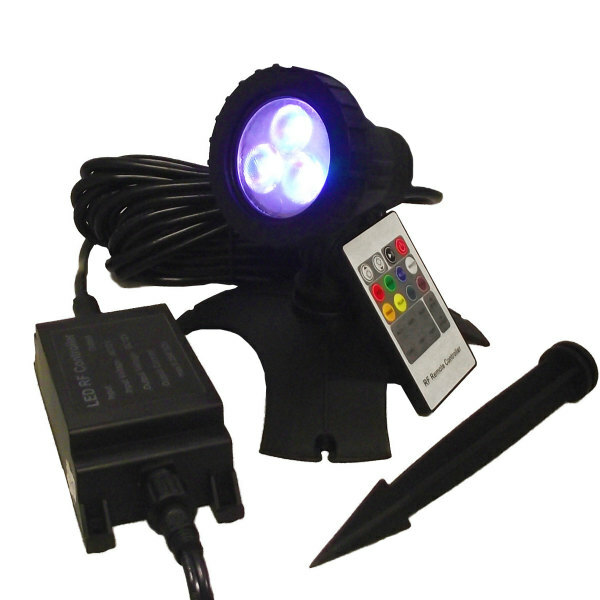 The brightness, along with the colour, can be controlled with the handheld remote from up to 30m away from the in-line receiver. 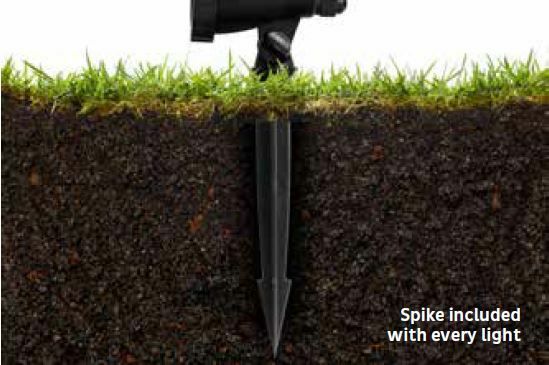 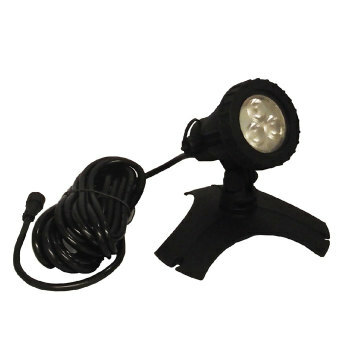 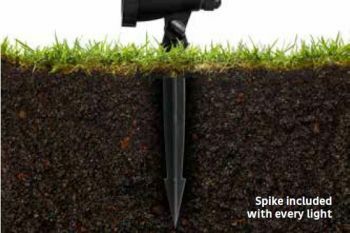 The light is fully submersible, IP68 rated and is supplied with a mounting base and ground spike. The head is adjustable and can be swivelled as well as pivoted to achieve optimum illumination. Depending on the angle of the light, it will stand between 14cm and 16cm high when fixed to the mounting base. 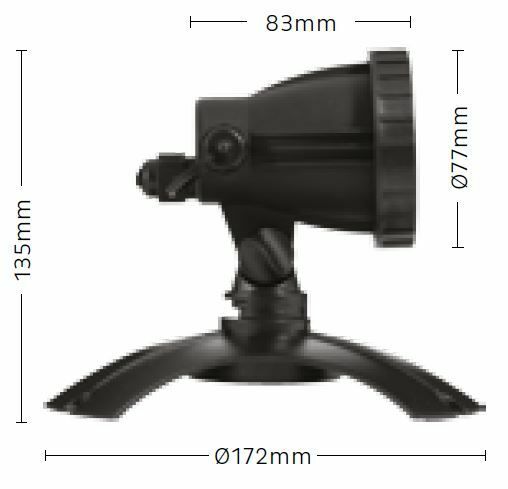 5m of cable exit the light for joining with the in-line receiver. 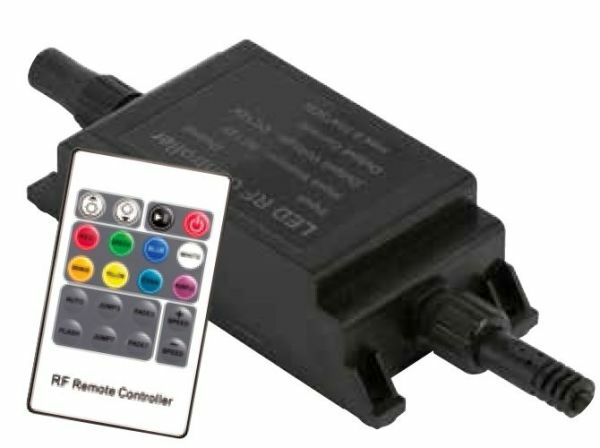 The remote receiver connects to the transformer via low voltage cable from which there is an additional length of 1.9m standard mains cable. The low voltage cable from receiver to transformer can be extended using the 12v low voltage extension leads, but these connections are weatherproof and not submersible.